Maintaining the precarious balance between her private and professional lives becomes even more difficult when she's assigned to work with Cullen Archer, an insurance investigator with ties to Interpol. Mei finds Cullen, single father of eight-year-old twins, far too attractive for her peace of mind. But she's thrilled that Cullen is just as attracted to her - even if falling in love complicates everything else in her life! This paperback is in very good condition with a spine crease and a cover crease. Thank you for visiting Andreas Second Chance Romance, where we love books as much as you do! 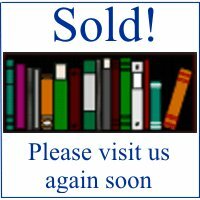 Please browse our books and other related items by clicking the link to our store at www.AndreasSecondChanceRomance.ecrater.com.